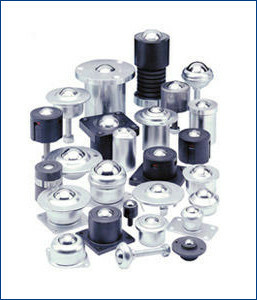 Empowered with skilled professionals and expertise of more than a decade, our firm has been able to manufacturer, exporter, and distributor Ball Transfer Units. The provided ball transfer unit is manufactured using quality-assured metal and ground-breaking techniques in line with quality standards. These units are widely demanded power plants, automobiles and various mechanical plants. Also, the provided units can be fabricated according to the customized specifications.